Carry your sunglasses or readers in style protected in one of our fun and fashionable eyeglass cases! We also carry the complete line of Bella Taylor Handbags, Wallets, and Purses! 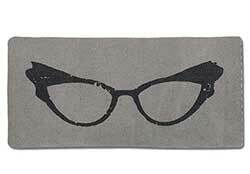 This padded pouch will keep your glasses safe and stylish! 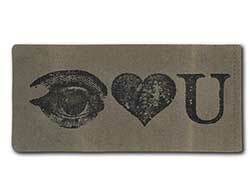 Features a vintage style screen print image an eye, heart, and "u," for a whimsical way of saying "I love you!" This padded pouch will keep your glasses safe and stylish! 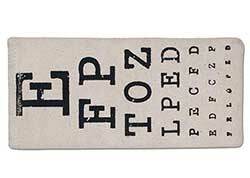 Features a vintage style screen print image of retro cat's eye classes.